Haimenkou was an important location, with trade and cultural links connecting parts of modern Southeast Asia and northwestern China in ancient times. 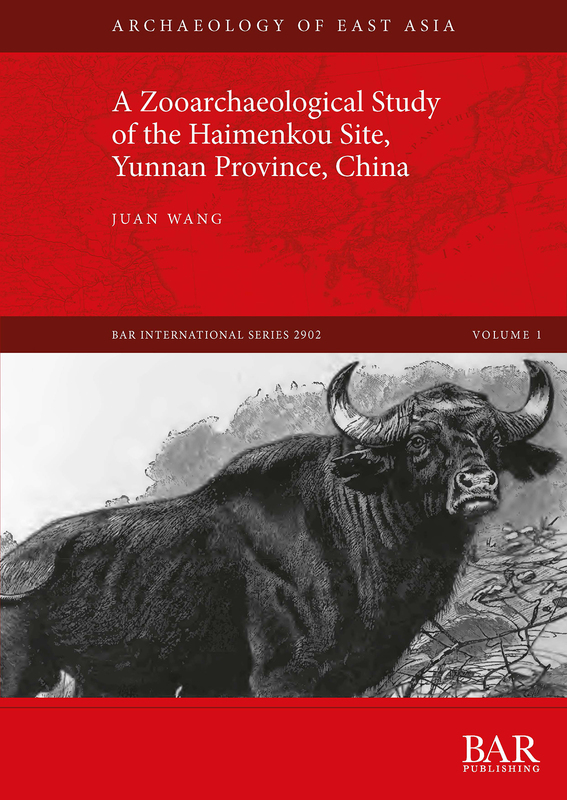 This book is based on an analysis of the faunal assemblage recovered from the Haimenkou site during the 2008 field season in Yunnan Province, China. It investigates the human-animal relationships at Haimenkou through a time span running from the late Neolithic Period to the middle Bronze Age (ca. 5000-2400 BP). The animal exploitation patterns, local animal domestication processes, human subsistence strategies and communication networks linking Haimenkou and other regions in prehistoric China are studied. Domesticated pig, dog and sheep bones were identified. Over sixteen wild mammal species as well as bird and fish bones and mollusc shells were also recovered. The results suggest that the Haimenkou people developed a mixed subsistence economy, consisting of crop farming, plant food gathering, animal husbandry, hunting and fishing. Juan Wang is a Research Associate in the Zooarchaeology Laboratory at Henan Provincial Institute of Cultural Heritage and Archaeology, China. Her specific research interests focus on human-animal relationships and animal sacrifice in ancient China.